SuperSmile Orthodontics is Celebrating 20 Years of "Unleashing Inner Smiles"
SuperSmile Orthodontics was founded by Dr. Brian Chamberlain 20 years ago! He placed braces on his first patient February 1999 and has been "Unleashing Inner Smiles" ever since. 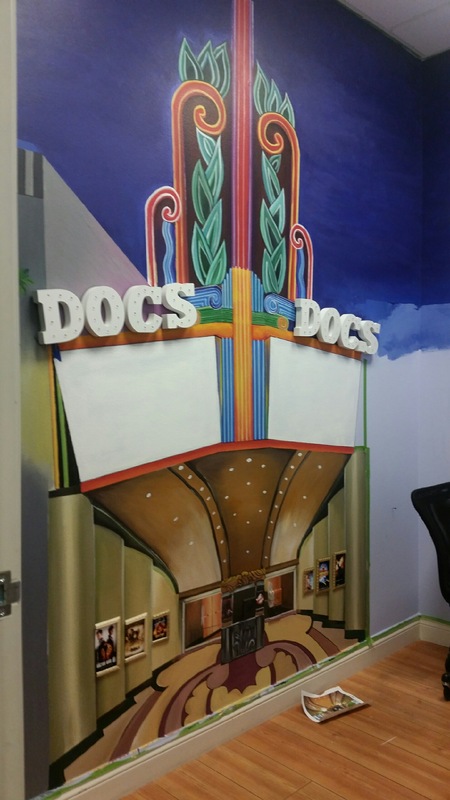 Make sure to check out DOC's theatre mural in our records room at your next appointment! When we reflect on our mission statement, including our favorite saying, "Unleash your inner smile". 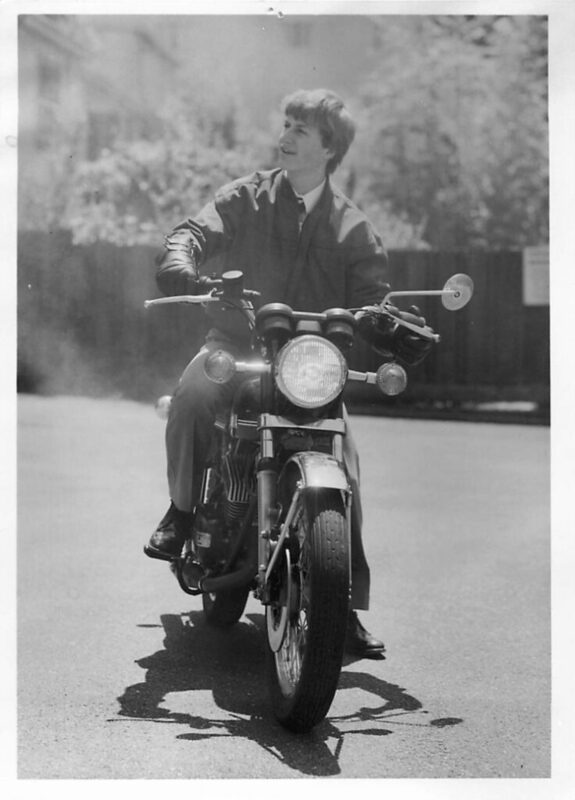 Dr. Chamberlain’s focus has always been on the greatest superpower in the world- your smile! Let's face it smiles have been known to make people fall in love, brighten days and get superstars noticed. Making sure you have a great time at SuperSmile Orthodontics while we all work hard on that award-winning smile. This mural is dedicated to our SUPER patients and their SUPER smiles! Here is a fun lil sneak peek. Did you get a SuperSmile postcard in the mail? North West Las Vegas is a close knit community! We recently sent out a postcard in the area, just in case you're looking for an orthodontist. Dr. Chamberlain is the closest orthodontist to The Providence and Sky Pointe communities. 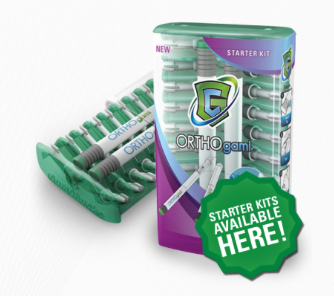 It's convenient for parents and patients to live near their orthodontist. Let's face it, life is busy and anything to simplify your day or make it a little easier is always welcome. 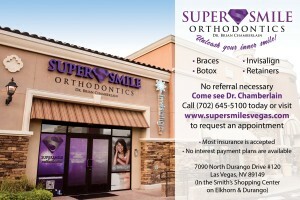 Check out our website at www.SuperSmileVegas.com for more information about our fabulous Las Vegas orthodontic practice. I dont know about you, but we're getting excited for summer! So have you decided on an adventure? No matter where you vacation; a few essentials are needed. Our patient store here at SuperSmile Orthodontics has you covered. First you need to keep your teeth and braces clean. We highly recommend GumChucks which make flossing easy and fun. Placksmackers toothbrushes are great, because they have a proxibrush (aka: fuzzy pick) on the end of them. We also have single use pre-pasted disposable toothbrushes if you prefer. 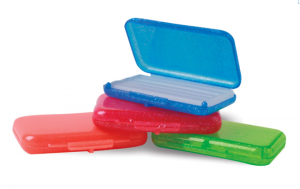 Make sure you bring extra orthodontic wax just in case of pokey wires or irritations your braces may cause. Enjoy your vacation plans! 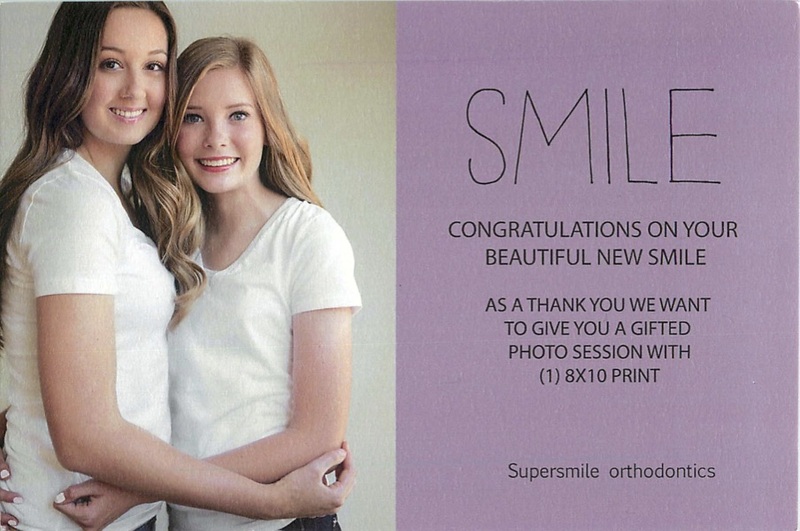 We look forward to seeing you at SuperSmile Orthodontics! Introducing our social media wall- starring YOU! You're a superstar at SuperSmile Orthoodontics! Need to pass a few moments while you wait for your appointment with Dr. Chamberlain. We would like to invite you to participate in our social media wall. We want to feature YOU being silly and having fun at SuperSmile Orthodontics. It will be super seeing your friends and classmates that vist our office too! 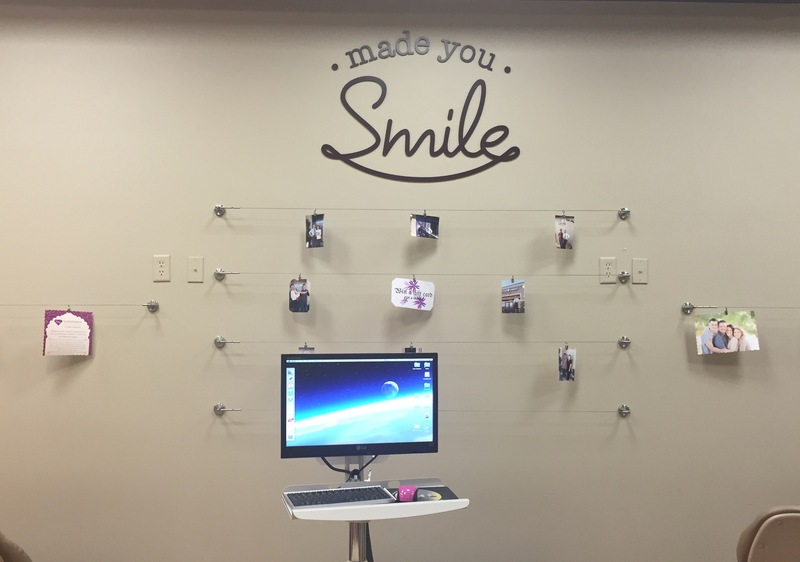 Post it on YOUR Facebook or Instagram then tag us at SuperSmile Orthodontics or we can find your image with our hashtag #SuperSmileVegas and we can share it for you. Please print your image on our photo printer and autograph it. The evolution of SuperSmile Orthodontics! You came here seeking a "SUPER" smile and that just happens to be Dr. Chamberlain's specialty. You may wonder how we got the name SuperSmile Orthodontics? The SuperSmile name evolution started when Dr. Chamberlain was just 17. He was raised in Berkeley California. He needed a new belt, so he asked his brother's advice. His brother told him the only place to buy a belt is on Telegraph Avenue. So he ventured out and carefully selected one with a Superman buckle. He was proud to wear something that stood for truth, justice and the American way! He was teased at times but it soon became his icon. It could be polished to a mirror like shine. Unfortunately it was stolen out of his car while he was attending an opera. A fellow classmate at University of California San Francisco knew he missed his inspirational emblem. He bought him a replacement Superman belt buckle. It was a token of friendship and a classmate's belief in him. At this point many of you may have seen him out in the Centennial Hills area wearing it. The belief lives on that there is a little superhero in us all! 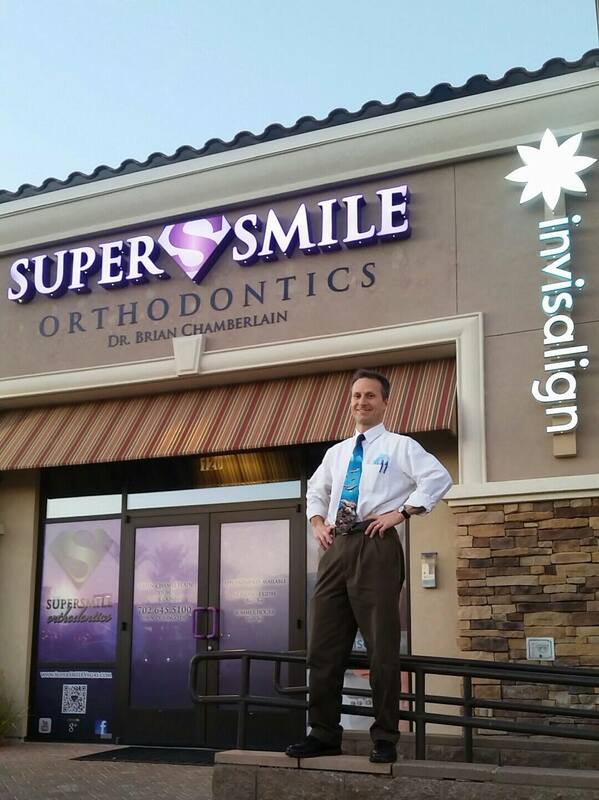 That is the story behind Dr. Chamberlain naming his office SuperSmile orthodontics. We are excited to announce that we have a beautiful new sign with SuperSmile on it! Be on the lookout for some fun changes in the office decor in the coming months. We want you to look forward to your appointments and enjoy the time you spend with us. Dr. Chamberlain insists his patients to have the best tools for their home care! 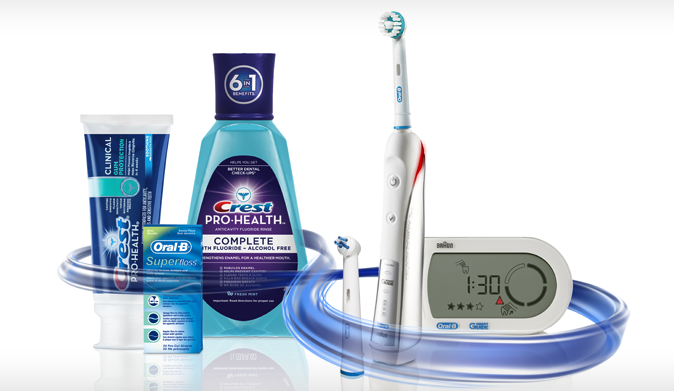 This is why we gift our newly bracketed patients with the OrthoEssential kit from Oral-B. Our goal at SuperSmile Orthodontics is for you to have a gorgeous, healthy smile at the end of your orthodontic treatment. - We ask that each of our patients grade their hygiene when they brush their teeth prior to each appointment. - If they need improvement, this is a positive way for Dr. Chamberlain or their orthodontic assistant to go over brushing techiniques with them. - If they are doing great and need no tips at this time, they drop their graded sheet into the entry box at the end of the appointment. - Each month we do a drawing of those carefully cared for smiles, for a chance to win a SuperSmile sweatshirt! We love to keep our patients engaged in their treatment and excited to take great care of their smile! Please let us know if you ever have any ideas for patient engagement. We would love to hear from you. Viva Las Vegas! SuperSmile Orthodontics is more than meets the eye..
One of the perks for living and practicing orthodontics in Las Vegas is we get to meet the most interesting people. We treat children, teens, adults, and entertainers. We want to thank Vegas24Seven for featuring us on their website! As you probably know they are the leader in Las Vegas advertising and local news. Visit www.vegas24seven.com for the most current local event schedules in Las Vegas. Vegas24Seven knows us for our Botox treatment program. Vegas is known for its swanky events and beautiful people. Did you know that Dr. Chamberlain is certified to treat TMD and TMJ with Botox? Many patients that have suffered in pain for years have finally found relief utilizing Botox to treat their tempromandibular joint disorder. Wait, that's not all! We have patients that travel from all over to have their aesthetic botox done by Dr. Chamberlain. Since orthodontists go to medical school then dental speciality school, followed up by a two year orthodontic speciality school, their understanding of facial structure and musculature is vast. Dr. Chamberlain's Botox treatment is perfection. Did we mention it's affordable? It's obvious why many people choose SuperSmile Orthodontics for their Invisalign, braces and now Botox therapy. Call us at (702) 645-5100 for an appointment today! SuperSmile Orthodontics is proud to announce our partnership with Mindy Bean Photography! Dr. Chamberlain for many years has gifted his newly debanded patient's with a photo gift certificate. We would like to invite any patient that has an unused Target photo voucher to return it to the office and we will replace it with one from Mindy Bean Photography. A beautiful healthy smile is a treasure. What better way to celebrate your new smile than a professional sitting and portrait!